Jogging has been gaining on popularity in the recent years. As a consequence there are more and more running events held every year all over the globe. Slovenia is no exception. I have been writing about one such event before - it is called Night's 10 and it is held annually in Bled, Slovenia. Since Winter is not a very friendly season for sports like jogging in Slovenia everybody is in anticipation of Spring. This year temperatures have been quite high for a while now and quite a few running events were already held. These events can be a great motivation to get moving again and forget all about the cold winter. We participated in one such event a few weeks ago. Connecting the salt-pans event (Povežimo soline) was held on the Slovenian coast on a beautiful, warm and sunny Sunday in March. 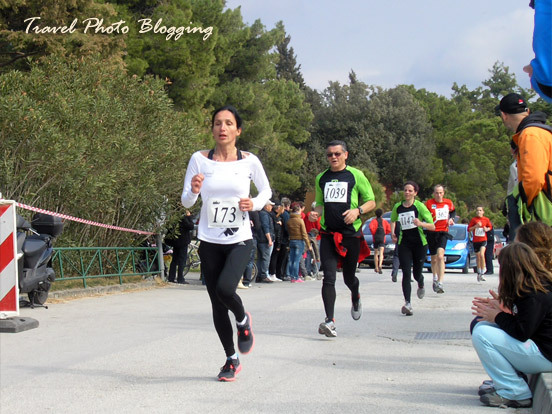 It was amongst the first such events in 2012 in Slovenia and also a great beginning of running season for many participants. As the name suggests the idea of the event is to connect two salt-pans on the Slovenian Adriatic coast by running from Sečovlje salt pans to Strunjan salt pans. The finish line was 9.5 kilometers away from the starting point. The route was mostly set on level terrain and even went through a tunnel. This time I was not participating. I only offered my driving services to the other part of the team. Even though I had to wait for our running enthusiasts for almost 2 hours I was not bored for a moment. Beautiful surroundings offered great photo opportunities I was more then glad to seize. Even the church tower of the charming city of Piran was visible in the distance. Amongst other interesting sights there was also a group representing salt pan workers. 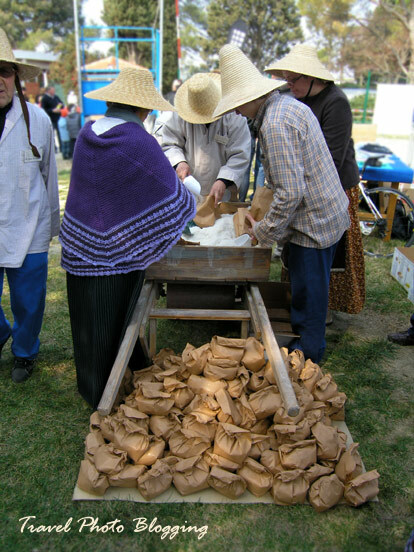 They prepared a bag of freshly harvested local salt for every participant. The atmosphere was very relaxed and everyone seemed to be having a great time. If you are looking for an excuse to visit Slovenia, you can easily participate in one of many running events held throughout the country. Here is a list of this year's upcoming running events in Slovenia. The site is in Slovenian, but since it is basically a list of names, places and dates I think you will be able to get all the info you need. The only thing you should keep in mind is the usual requirement to register in a particular event months before it actually takes place.